Similarly, this is an extension of the Rule of Thirds. By placing your horizon on one of the horizontal lines which divide the image into thirds, your image will be more interesting. Once exception to this rule is if you are taking a mirror image where your landscape is being reflected in a foreground lake. In this case, it is common to place the horizon at the very midpoint of the image, where the reflection line is a the horizontal halfway point. You should strive for your subjects to be facing or leaning into the frame. The image should tell the story of what happens next or where the subject is heading. Ideally, this is best performed by framing your composition (moving the camera around to find the scene that has the subject leaning toward the center of the frame), then taking the photo. Your composition should lead the viewers eye through the image. Use flowing features (i.e. curved road or trail, etc.) from one corner of the image to the other as the feature extends away into the distance. Interesting images can be created by simply looking for interesting repeating patterns, textures, and colors. The images can be cropped to create images with strong composition. Kalamazoo Institute of Art (www.kiarts.org) The Kalamazoo Institute of Arts offers classes in photography, photo editing software, and other art forms. Click the title link and check out the class schedule to see the current class offerings. Improve Photography (www.improvephotography.com) The Improve Photography website has many articles, tips, gear recommendations, etc. 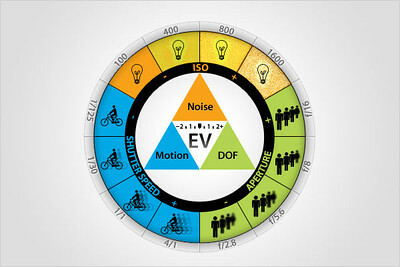 for most photography topics. Jim Harmer, the owner and main photography guru, shares his tips and recommendations in a weekly podcast (also found on the website or iTunes) and offers self paced online classes in a variety of photo subjects. Classes can be previewed here (www.photoclasses.com) or you can navigate there using a link at the Improve Photography website. B&H - Education (www.bhphotovideo.com/indepth/category/tags/education) Besides being a photography superstore, B&H also provides thorough educational videos and tutorials. They provide a great resource in addition to offering photography gear and reviews. Digital Photography School (www.digital-photography-school.com) What started as a camera review website, Darin Rowse started writing tip articles and decided a site dedicated to photography tips was needed. The site has since grown and offers a wealth of information. American Society of Media Photographers (www.asmp.org) mission is to create sustainable information, advocacy and communication systems designed to empower and educate professional publication photographers. The Three Purposes of ASMP To protect and promote the interests of independent photographers whose works are primarily for publication. To maintain and promote high professional standards and ethics in photography. To cultivate friendship and mutual understanding among professional photographers. American Photographic Artists (www.apanational.com) believes in elevating your art and works fearlessly to protect your content. As the most prestigious national organization for professional photographers, we are committed to lead the future of our industry. APA provides access to the most progressive local programming, powerful national legislation, prestigious mentorships, affordable insurance options, and collective industry benefits. Dedicated to our community’s financial and artistic well being, we initiate, develop, and deliver the advantages necessary for a successful career in professional photography. The World Photography Organisation (www.worldphoto.org) supports professional, amateur and student photography, lending a global platform for the photographic industry to communicate, congregate and cultivate, and showcasing current trends in all genres of photography. Our Aims Promote photography and photographers to a worldwide audience Support photographers whilst creating new avenues in which to develop the photographic practices within the industry Enable photographers to have their work seen internationally Establish photography into new and less mature markets Introduce young talent to a world-wide public and photographic audience Provide various annual meeting grounds for a global industry to converge and facilitate exchange within the market. The Photographic Society of America (www.psa-photo.org) is a worldwide organization providing a wide range of services that promote photography and benefits to its members. Individual members can participate in competitions, study groups and on-line education programs designed to advance photographic knowledge and skill. The Society for Photographic Education (www.spenational.org) is a nonprofit membership organization that provides and fosters an understanding of photography as a means of diverse creative expression, cultural insight, and experimental practice. Through its interdisciplinary programs, services, and publications, the society seeks to promote a broader understanding of the medium in all its forms through teaching and learning, scholarship, and criticism. These pages have been created and continue to be updated for the purpose of spreading information and resource links for learning about photography, special techniques, processing software, gear reviews, etc. I have found many of these resources along my journey learning and refining my photography skills. The advertisements on these pages are affiliate links, which are products/services I believe in and trust. When clicked and a purchase made, I receive a small percentage of the purchase, which helps me cover the costs to keep this website active and growing. The prices are the same either way, so if you feel the information and resources provided here helped you to improve or inspired you, please click the links and support me. Thank you!